I am sometimes, I am always tough. 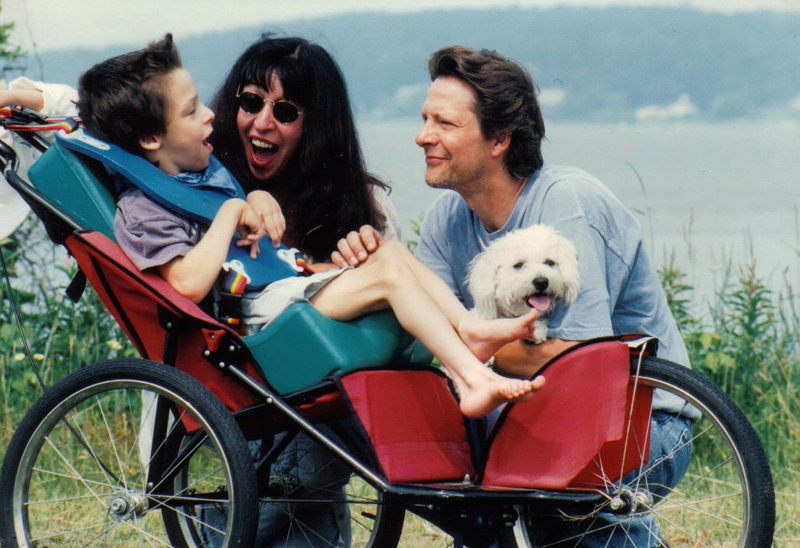 Marianne Leone Cooper wrote the book that stuck to my ribs at the end of 2010: Knowing Jesse. I love that poem. What I remember when Jesse was writing that poem is how insistent he was on the way it looked on the page, which I thought was really interesting. “I am sometimes invisible” grabs you by the throat in that poem. I actually thought of calling this book “sometimes invisible,” because people with disabilities are sometimes invisible in our society… When you’re in middle school you have these heroic self-images, but he also knew that he was sometimes invisible. I did worry that I was grooming him to be more of an insurrectionist than maybe his own temperment would have made him. But I think he agreed. “I’m sometimes invisible” tells me that he got it. And his picking not a sports figure, but the kid who integrated Little Rock High School, told me that too. I wanted to give him a vision. He could take his intellect, have a life of the mind, and thrive with that.